Facebook is getting into the personal assistant space. 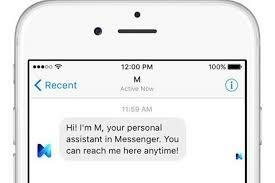 In a post on the social network, vice president of messaging products David Marcus revealed that the company is testing Facebook M, a personal digital assistant inside of Messenger. There’s no specific timetable on when the service will be released to the public. Facebook joins a growing chorus of companies entering the personal assistant space.